The Wiradjuri People are the people of the three rivers – the Wambool (Macquarie), the Calare (Lachlan) and the Murrumbidgee. They have lived in these lands and along these rivers for more than 40,000 years. The Wiradjuri are identified as a coherent group as they maintained a cycle of ceremonies that moved in a ring around the whole tribal area. This cycle led to tribal coherence despite the large occupied area. It is estimated that 12,000 spoke the Wiradjuri language prior to white settlement. Differences in dialect existed in some areas, including around Bathurst and near Albury. The Bathurst Wiradjuri was the most easterly grouping of the Wiradjuri nation. Their totem is the goanna. The Wiradjuri lived in extended family groups of around thirty men, women and children, moving between different camp sites across their traditional lands, which covered an area of approximately 40 miles (or 64 kilometres) square. They made periodic journeys throughout this well-watered country around the Wambool River. The Wiradjuri fished from canoes and hunted with spears and nets for duck, kangaroo, goannas, snakes, lizards, emus, possums, wallabies and waterfowl. Their food supply also included various plants, roots and vegetables. The travelled for trade and to perform ceremonies to honour their ancestors, their dreaming and their relationship with the land. The Wiradjuri lands were signposted with carved trees which marked burial grounds. Carved trees have been found at the junction of the Macquarie and Campbell Rivers at O’Connell. (This tree can be seen on display in the Bathurst Historical Museum). Bora rings were located on key sites like Wahlu (Mount Panorama) where initiations and other important ceremonies were held. The caretaker’s cottage in McPhillamy Park is believed to be constructed from the stones of three bora rings where, for thousands of years, the Wiradjuri held initiations and corroborees. Stone monuments associated with men’s business have also been found on Bald Hill and Mount Pleasant. Handcrafts included woven baskets and delicately stitched and engraved possum skin cloaks, worn for protections against the colder weather. Women also stretched out possum skins on their laps to beat out rhythms during ceremonies and dances. Traditional dances portrayed battles, hunting and the animals which were both prey and totems for the Wiradjuri. Men decorated their bodies with white paint for these dances. The Wiradjuri shaped their landscape through controlled burning to encourage animals into cleared grassland for better hunting. Spears were crafted from sharpened quartz spearheads fastened to kangaroo sinews. Stone axe heads crafted from stone on the edge of the Oberon Plateau were traded widely. The first encounters between the Wiradjuri and the British colonialists were recorded in the journals of Blaxland, Wentworth and Lawson’s first white expedition across the Blue Mountains. In November 1814 Assistant Surveyor George Evans and five others surveyed a road across the mountains to access the open plains to grow food for the Port Jackson colony. They followed the Wambool (Macquarie) westward into Wiradjuri country reaching as far as Killongbutta (approx. 40 kilometres from Bathurst). Evans’ route across the mountains followed a long established route used by the Dharug and Gandangara people to trade with the Wiradjuri. The first recorded contact was near Mount Pleasant when a small group of two women and four children were surprised to find the white men fishing at dusk in 1813. The Wiradjuri language gives some clue as to what they must have made of these strange pale clad creatures and their horses. The Wiradjuri words for white man and ghost are similar. A small settlement was established near the junction of the Macquarie River and Queen Charlotte’s Vale Creek. Govern Lachlan Macquarie and his wife visited the site in May 1815 to mark the completion of the road and the inauguration of the town. The Governor recorded his first meeting with the Wiradjuri upon his arrival . The Wiradjuri began to strike back and conflict escalated as stations were attacked and cattle speared. Lives were lost on both sides. White settler reports in the Sydney Gazette record over 13 stock keepers killed by mid 1824. There are no records of the Wiradjuri men, women and children killed in reported retaliatory attacks and poisoning. Wiradjuri resistance to the settlement also intensified with the strength and stature of one leader Windradyne (Saturday) becoming legendary. In December 1823 Windradyne was put in irons for a month by the commandant of Bathurst, Major Morissett, for killing two bullocks. Major Morisset had Windradyne put in irons for a month on this occasion. As conflict came closer to the fledgling town another report describes the shooting of Windradyne’s family by a farmer on the potato fields on the banks of the Macquarie, across from the early settlement. Windradyne survived this encounter and in May 1824 mounted a campaign of guerrilla warfare, with attaches on several stations in the Bathurst area. Early settler, William Suttor, described his narrow escape from the inflamed warriors, thanks to the lasting friendship he had established with the Wiradjuri. 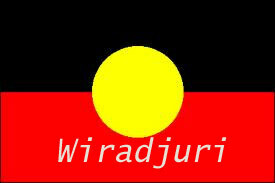 When they arrived at this jut he was able to speak with Windradyne in Wiradjuri and saved himself and his family. Attacks were recorded at Millah Murrah, The Mill Post and Warren Gunyah. The killing of a Wiradjuri woman and two girls at Raineville near O’Connell in May 1824 led to the arrest of five stockmen. Prosecution of the case drew consternation from settlers who called for military intervention against the Wiradjuri. The accused were not convicted. Governor Brisbane proclaimed Martial Law on 14 August 1824 and dispatched 75 soldiers to Bathurst with magistrates permitted to administer summary justice. A reward of 500 acres (203.3 ha) was offered in reward for the capture of Windradyne. Official records of engagement and losses were scant but W.H. 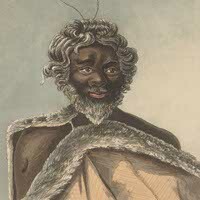 Suttor, one of the few settler advocates for the Wiradjuri, described their suffering at the hands of the forces assembled under Major Morisset. “When martial law had run its course extermination is the word that most aptly describes the result. As the old Roman said, ‘they made a solitude and called it peace”. Soldiers, mounted police, settlers and stockmen carried out numerous attacks on Aboriginal people. The attack continued for two months but no record of casualties was kept. By October groups of Wiradjuri were being reported coming into Bathurst to surrender. 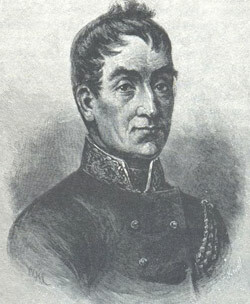 Martial Law was repealed on 11 December, 1824. Seventeen days later Windradyne led a group of Wiradjuri to Parramatta, where, with a dignity acknowledged by white observers, he made an entreaty for peace at the Governor’s Annual Feast. On the same day, the Colonial Secretary, Early Bathurst, sent a dispatch from England rebuking Governor Brisbane for providing insufficient justification for his declaration of marital law. Brisbane was later recalled to England. Windradyne was reported to have been mortally wounded in a tribal fight on the Macquarie River, and to have died a few hours later on 21 March, 1829 at Bathurst hospital on the corner of Bentinck and Howick Streets. The Suttor family disputed earlier accounts of Windradyne’s death and burial, claiming that he had in fact departed from Bathurst hospital to join his people at nearby Brucedale, and that the died on the property in 1835. In 1954 the Bathurst District Historical Society erected a monument beside a Wiradjuri burial mound at Brucedale, attaching a bronze plaque commemorating. ‘The resting place of Windradene, alias “Saturday”, last chief of the Aborigines; first a terror, but later a friend to the settlers … A true patriot’. Windradyne has become a character of national importance as a resistance hero. A suburb at Bathurst and a student accommodation village at Charles Sturt University, Wagga Wagga, are named after him. Windradyne’s grave is listed on the State Heritage Register and is protected through a voluntary conservation order. From the mid 19th century gold mining and free selection brought thousands of new settlers into Wiradjuri country. In the mines and on the small holdings there was little requirement for Aboriginal labour. The Wiradjuri did play an important role in the gold rush and the major finds of Kerr’s nugget and the Tambaroora gold field are attributed to individual Wiradjuri. Local Wiradjuri were also among the first entrepreneurs on the Ophir gold fields, selling bark for huts, looking after horses and guiding and providing other services. With the loss of their hunting ground the Wiradjuri were no longer able to live independently of the white population. Extended family groups moved between settlements along the key rivers, typically living n fringe camps outside of towns like Mudgee, Wellington and Cowra. They did however manage to retain their ceremonial life despite being closed out of their traditional bora grounds. Some of the Wiradjuri’s social patterns also survived; such as seasonally moving family groupings, child rearing by relatives rather than parents, decision-making by consensus and the resolution of conflict with reference to outside forces such as the police. From 1883 onwards ‘protection’ policies aimed to segregate Aboriginal people across New South Wales. The Protector of Aborigines had the power to create reserves and to force Aboriginal people to live on them. This brought pressure on local Aboriginal people to leave farming properties and fringe camps. On the Aborigines Protection Board Reserves movement, paid income, property ownership, access to education and even marriage were controlled by administrators. Wiradjuri families were relocated to Missions such as Erambie at Cowra, Nanima at Wellington and Mudgee or Reserves like the wellington Common. Others were scattered across New South Wales. In both Aboriginal missions (which were supervised by a manager) and reserves (unsupervised) housing and health conditions were well below white standards; there was little or no transport to town and children could be refused access to local schools and public facilities, like municipal pools. Until 1972 Wiradjuri families were also subject to government policies for the removal of children and many children were raised in orphanages like Cootamundra Girls Home and Kinchela at Kempsey.